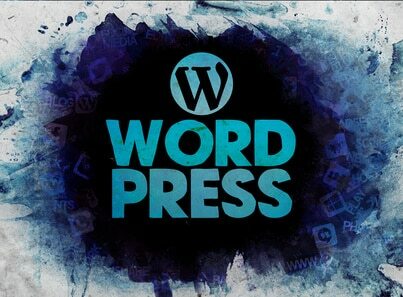 WordPress is a content management platform that is trusted by thousands of users around the globe. Introduced almost 15 years ago, the platform literally revolutionised the way we edit online content. Over the years, the WordPress editor has noticeably evolved in terms of ease of use and features. However, in terms of technology advances, these changes would perhaps not be classed as considerable; the editor has for the most part remained unchanged. Within the WordPress community, the feeling has been that the time has come for a major change and a move towards an editor that is more intuitive and focused more on simple creation of the rich content our search engine rankings crave. Naturally, as a WordPress user, you may be nervous to learn of such an overarching change to your favourite content editor. Will your plugins and add-ons still function correctly? Will you still find it as straightforward to add, edit and manage content? Let’s take a look at some of the core changes that you can expect as Gutenberg starts come into play later this year. Once version 5.0 of WordPress rolls out in late 2018, Gutenberg will become the default WordPress editor. So what are the key changes to expect? This is a new feature arriving with Gutenberg that will allow users to add all sorts of elements such as text, headers, tables and images or video clips with a simple click of a button, rather than inserting HTML or short code. Simply hit the + icon in the text field to reveal a menu that displays all the elements available, then select what you wish to add and go ahead and modify it within the content block. This feature makes it possible to add block elements using a keyboard command. So for example if you wanted to add an image into a post as you’re typing, you simply type /image and hit enter to select your image. Currently if you wish to embed content from external platforms such as YouTube, there’s a whole lot of fumbling to get that code into your post. Gutenberg however makes this a simple task, allowing you to embed content from all your favourite platforms. All of these features have simplified a process that’s currently quite a clunky task, making workflow much more of a breeze. It’s actually the essence of Gutenberg: keeping interruptions to a minimum so you can free your creativity. As with any major technology update, there are always going to be initial concerns. It is not yet certain how current WordPress site pages and posts will be affected as Gutenberg takes over, but sources are encouraging users to rest assured that this is a major focus of the testing process. Some custom plugins and themes may also be affected in the early days, however their importance has been acknowledged and it is believed that it is likely this will be taken care of over time. If you subscribe to Figment’s website maintenance service then your WordPress CMS will be automatically updated to Gutenberg following the launch of WordPress version 5.0. If you have any questions at all about how the new editor will affect your website you are welcome to talk to your dedicated contact.